They gave their name to an entire province: Misiones. When Jesuit monks from Brazil came to the densely forested area between Rio Paraná and Rio Uruguay in the 17th century to missionise indigenous people, they founded so-called reductions in which they settled up Indians of the Guaraní tribe. There were 15 of these mission stations in Argentina, eleven of which were located in what is now the province of Misiones. Considering the inaccessibility of the area, it is amazing what these reductions led by only two Jesuits could generate. This can best be seen in the San Ignacio Miní complex, which is declared UNESCO World Heritage, as are Nuestra Señora de Santa Ana, Nuestra Señora de Loreto and Santa María la Mayor reductions. Monks supervised the construction of huge churches and gave guidance at farming. About 4000 people lived in the settlement of San Ignacio at its heyday around 1730. How the reductions operated and why they finally fell into disrepair can be experienced in a fascinating light show that revives the ruins after sunset with pictures, people and events such as battles. 3D projections and fog machines turn the baroque complex into a kind of ghost town, dozens of people suddenly populate its squares, you can experience history in an unsual and unique way. Those who follow in the footsteps of the Jesuits in the Argentine province of Misiones should start their journey in Posadas. 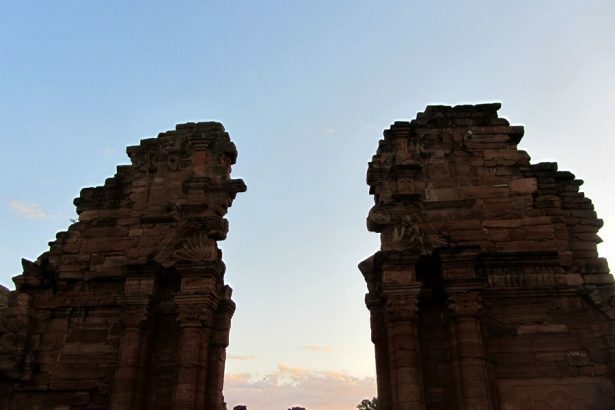 The border town to Paraguay is a good hour’s flight away from Buenos Aires. From there it takes about 60 kilometres to the reduction of San Ignacio Miní. On the way there, you almost automatically pass the Parque Temático de la Cruz at Santa Ana. Its main attraction is an 82-metre high metal cross. A lift takes you to the crossbeam from which you have a dizzying view of the lush green forests and pastures of the region. Several thousand hectares of this land are owned by the Navajas family. 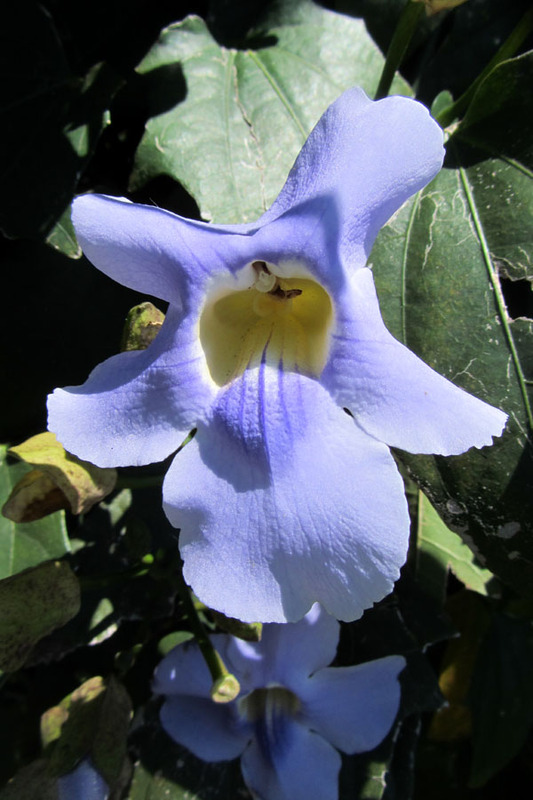 Their Estancia Santa Cecilia is one of the most traditional and largest in the region. Forestry and cattle farming are still the mains sources of income for this estate. But there is also tourism. 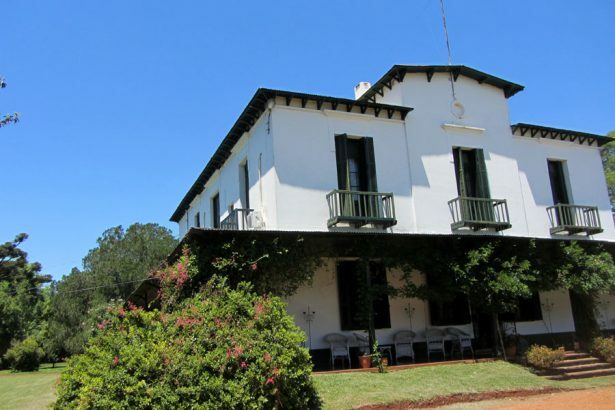 A total of four stately rooms invite visitors to get to know life on the estancia better. Dinner in style is hosted by landlady Silvia and her 30-year-old son Carlos in the large entrance hall at night. During the day there is the opportunity for rides through the extensive grounds. 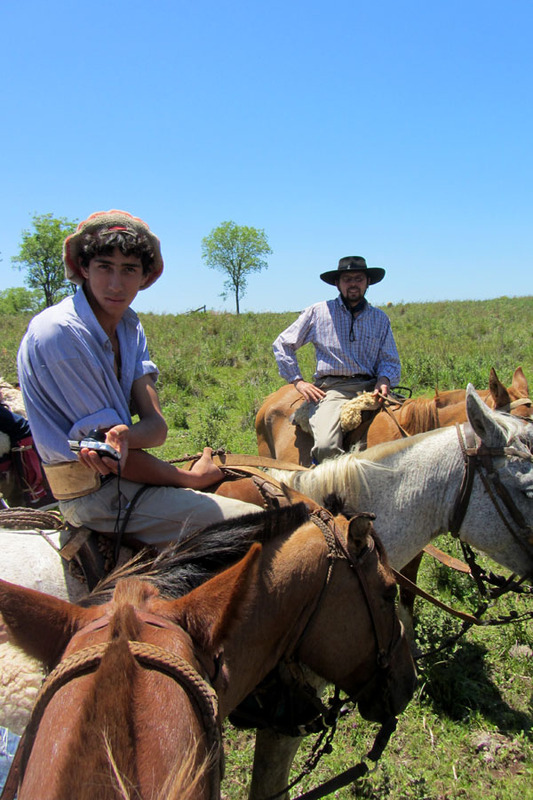 Gauchos – the Argentinean version of the cowboy – sip their mate tea before sunrise and make their way to the herds of cattle early in the morning. 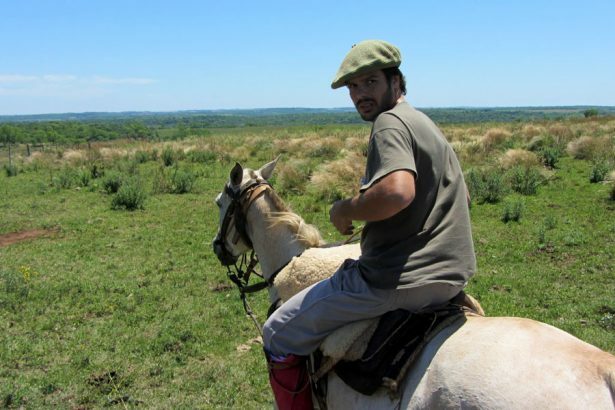 The visitors leave a few hours later in the company of either an experienced gaucho or the junior boss. What is on offer is not a tourist show, but an insight into the daily work of the gauchos: the herding of cattle or treatment of sick cows and calves that are caught with a lasso. With any luck you can spot nandus, large ratites resembling African ostriches, in this region famous for its diversity in birds and butterflies. After the ride a typical asado is waiting for the guests. Large pieces of meat are grilled over an open fire for a few hours and then cut into pieces in this type of barbecue. Salads and Argentinean wine cmplete lunch. The dense forests of the north stand in complete contrast to the wide pastures in the south of the province. Misiones has the last remains of the once mighty Atlantic rainforest that stretched along the east coast of the South American continent. The Pousada Puerto Bemberg, an exclusive but affordable boutique hotel in the middle of the forest, has set itself the task of educating its guests about the ecological significance of this habitat worth of protection. 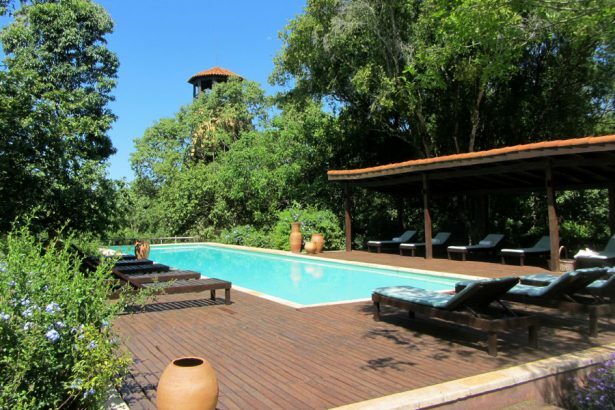 In addition to walks through a piece of jungle belonging to the hotel that stretches to the banks of the Paraná river, the Pousada also offers bird-watching expeditions and boat trips. There is also a nursery for native plants and a small garden with mate and pineapple plants and other fruit and vegetables used in the kitchen of the hotel’s restaurant. About 40 kilometers from Puerto Bemberg is the most famous attraction of the region: the Iguazú National Park and its unique waterfalls. The huge area of Atlantic rainforest, that is home to jaguars, tapirs and caimans and also about 800 different species of butterflies, was the reason for declaring the national park a UNESCO World Heritage Site. At the heart of the national park are the waterfalls on Argentinean and Brazilian territory, cascading down spectacularly, covering a width of almost three kilometres. For the best panoramic view you have to go to Brazil, but you get closest to the falling waters on the Argentinean side. Paths and footbridges lead you either close to the edge of the falls or close to the foot of the falls, so that spray soaks you completely. Wearing a raincoat makes sense. Even more adventurous is a boat trip on the Iguazú river, that literally passes under two big falls. Apart from the Victoria Falls on the border between Zambia and Zimbabwe in southern Africa, there are probably no more beautiful waterfalls on Earth. If you walk through the forest attentively, you might discover one of the region’s native birds: the Giant Toucan with its large yellow beak. Those who are unlucky and do not spot a toucan should keep their eyes open all the same. There are also some bird sancutaries in the area. 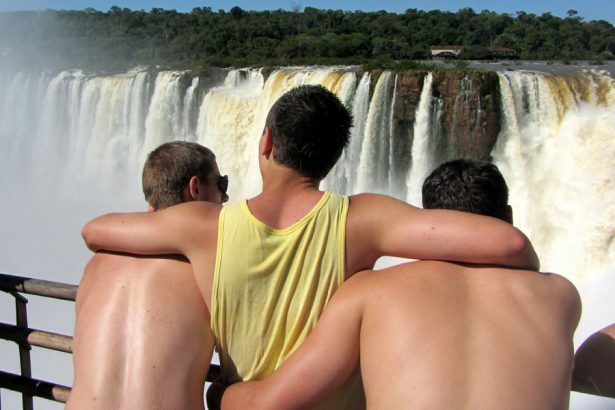 The constantly growing efforts of Argentina to attract gay tourists are already noticeable. 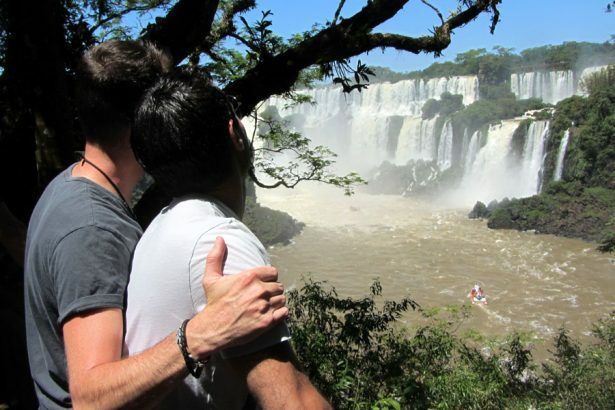 Whether during the day at the waterfalls or in the evening in chic hotels like the Loi Suites and the gay-friendly restaurant Aqva in Puerto Iguazú: gay couples are easier to spot than many a shy bird. Official homepage of the Ministry for Tourism offering plenty of information on Argentina and its regions. KLM offers three weekly departures to Buenos Aires via Amsterdam from 11 German cities since November 2011. Return flights are available from 748 Euros. KLM has a code-share agremment with Aerolineas Argentinas that serves Posadas and Iguazú from Buenos Aires. A Visit Argentina Pass that must be purchased before departure reduces the cost for a one-way domestic flight to ca. 180 or 200$ (equivalent to 1 coupon).